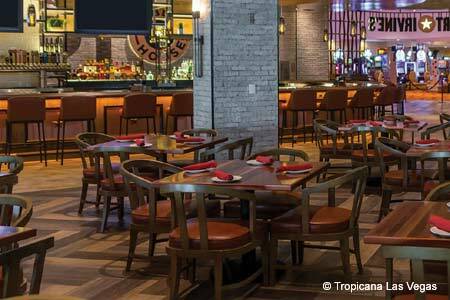 Bargain-priced all-you-can-eat buffet at Gold Coast Hotel & Casino. : Decorated with plants and flowers, this cheerful buffet has a faithful following of locals who appreciate the family-friendly atmosphere and affordable food. 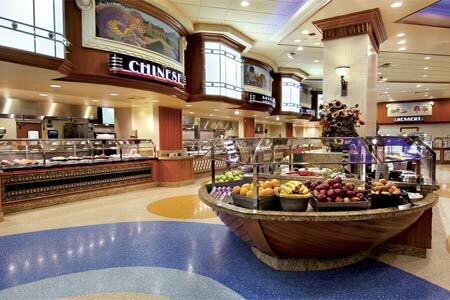 The salad bar offers the traditional choices; the seafood station may feature red snapper, baked salmon and black mussels. Mongolian selections might include fried bananas and fried oysters. The Chinese display has seen chow mein, while Mexican options could be cheese enchiladas, tacos and chile pork. Other possibilities include Italian fare such as pizzas and spaghetti with marinara sauce, plus rotisserie chicken and London broil. Among desserts are bread pudding and almond tarts. Breakfast $9.99; Lunch $11.99; Champagne Brunch $16.99; Prime Rib Dinner $16.99 (Sat.-Thurs. ); Seafood Dinner $25.99 (Fri.).